Finding ways to relieve stress and tension as we get older is crucial for our emotional and physical wellbeing. Research has shown that stress and tension brings about all manner of illnesses and worsens existing medical conditions. We all know that our minds are powerful when it comes to how we think and feel. If we are worrying and fretting about something the body becomes stressed but if we think about something pleasant and relaxing we feel better immediately. No.. we have been doing it for so long we cannot just change overnight. But I am here to tell you there is a way to deal with stress that could change the rest of your life. Images – The Language of the Mind.The mind communicates with the body through the images that we think about. Bills, repairs, illness, family concerns and traffic all conjur up images which cause our mind to send negative signals to the body affecting our emotional and physical health. Day dreaming on the other hand about an upcoming holiday or your grand kids telephone call can have such an uplifting effect that we are surprised how well we suddenly feel. There is a key here to finding ways to relieve stress long term. Guided Visualization sometimes called Guided Imagery is one of the ways to relieve stress that is as easy as day dreaming but much more effective. 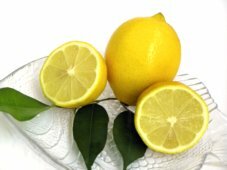 Imagine for one moment biting into a fresh juicy lemon, straight through the sour flesh and the juice running over your tongue. Get the picture? If this little test gets you salivating and screwing up your face with thought of the sour taste, then imagine how much you could benefit from a 30 minute guided imagery meditation. In this sort of simple meditation you lisen to relaxing music whilst you are guided through a pleasurable and positive experience. All you need is a CD player or an ipod and your choice of guided meditation. I know that this kind of guided meditation can lead to profound changes in the way we think and feel. In 1993 I was diagosed with breast cancer and underwent a mastectomy. Whilst in a bookshop in Vienna looking for something to give me hope, I came across a book written by O. Carl Simonton who uses imagery in his treatment of cancer patients especially at that time, children. I began using guided meditation to help me stop worrying and to believe that I would survive. I am still here and can honestly tell you that I believe guided meditation helped me to deal with stress and think and feel more positively at a time in my life that was frightening. People find different ways to relieve stress, some good, some not so good. Alcohol, food or medication bring if anything only short term relief followed by a deeper slump. So it’s worth taking a moment to find out why meditation works and the benefits we can enjoy from such a simple practice. Guided imagery is not just the ultimate stress buster! There are a multitude of physical and emotional benefits and anything that improves the quality of your thoughts and feelings will have a positive effect on your whole life. At the Guided Meditation Site you will find all the information you need and a wonderful choice of Visualization and Image meditation to help you deal with stress. Long term solutions to relieve stress, sleep better, worry less and be more confident. Listen to the sounds before purchasing to make sure that the voice and music are pleasant for you. This way you will look forward to the time of day you have set aside for guided meditation.